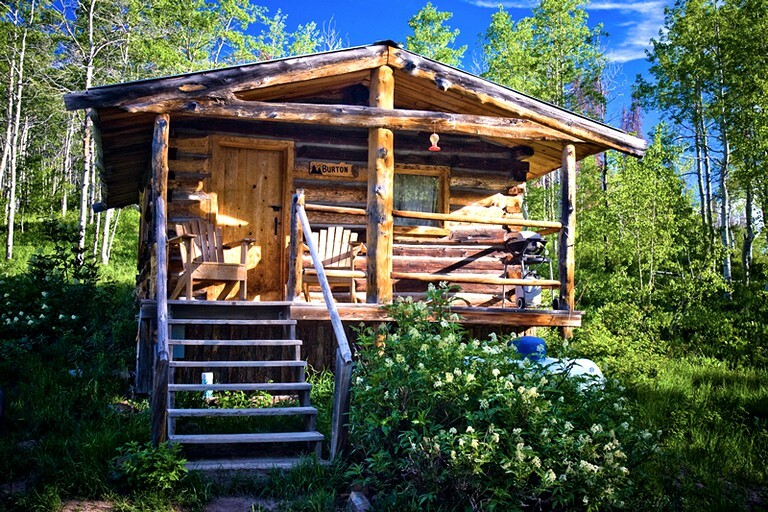 Guests can escape to this secluded and cozy rental for a much-needed cabin getaway near Steamboat Lake in Colorado. They will find one large room with a queen-size bed and one set of bunk beds—perfectly accommodating up to four glampers. 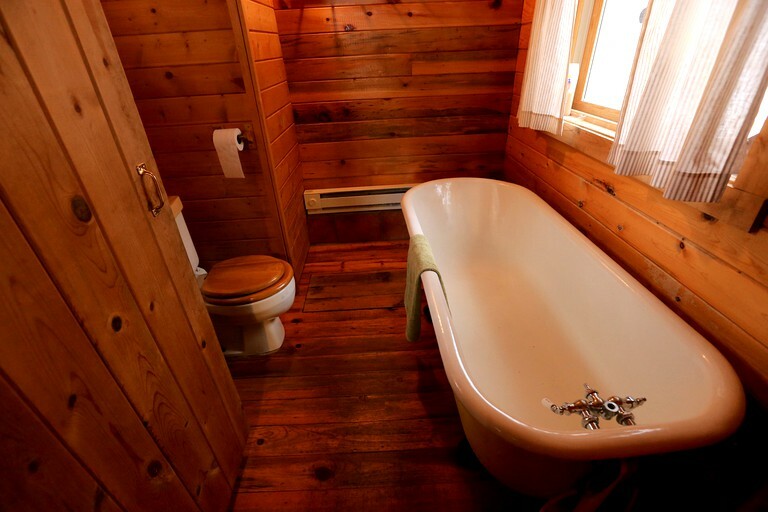 There is also a bathroom with a large, old-fashioned clawfoot bathtub. All linens and towels are provided. 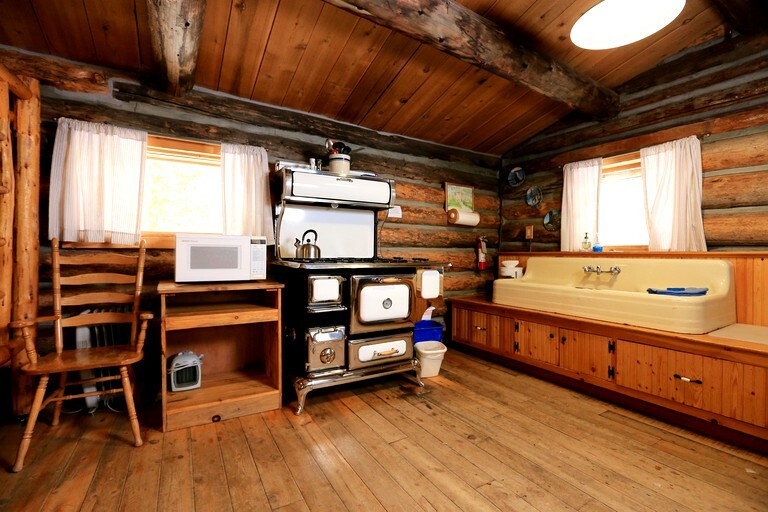 Each of the cabins at this property comes with linens, towels, and firewood included (where needed). The modern bathhouse on-site makes guests' stay very comfortable. The hosts also stock each cabin with coffee filters, paper towels, and dish detergent. Rent the town for weddings, parties and special events, or just take a cabin for a romantic getaway. Please inquire with the host for more information. Nestled at the base of Hahn's Peak in northern Colorado, this glamping site is near the Routt National Forest, Steamboat Lake, Pearl Lake, Hahns Peak Lake, and the Mt. Zirkel Wilderness. 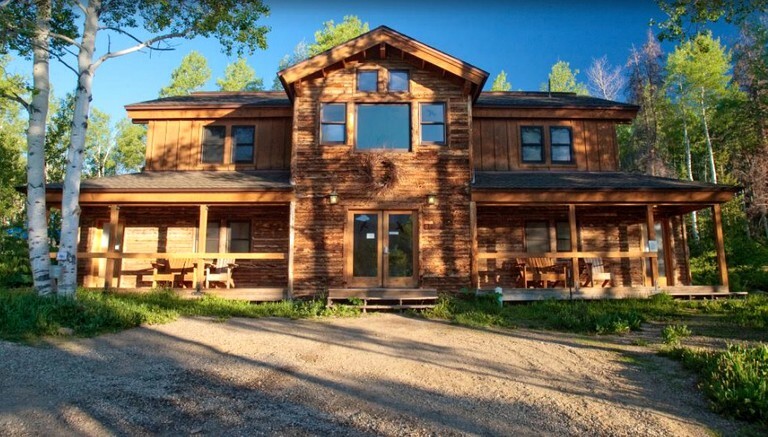 The property is located 29 miles north of Steamboat Springs on Routt County Road 129. Guests will enjoy a variety of easy to challenging hikes in the national forest and state park lands where the hosts are happy to offer suggestions. They can fish in nearby streams, or go to Hahns Peak Lake, Steamboat Lake, or Pearl Lake. Ice fishing is popular on Steamboat Lake in winter. Steamboat Lake Marina at Steamboat Lake State Park is a great place for guests to rent boasts and explore the area. The small swim beach near the marina is popular with the younger set. 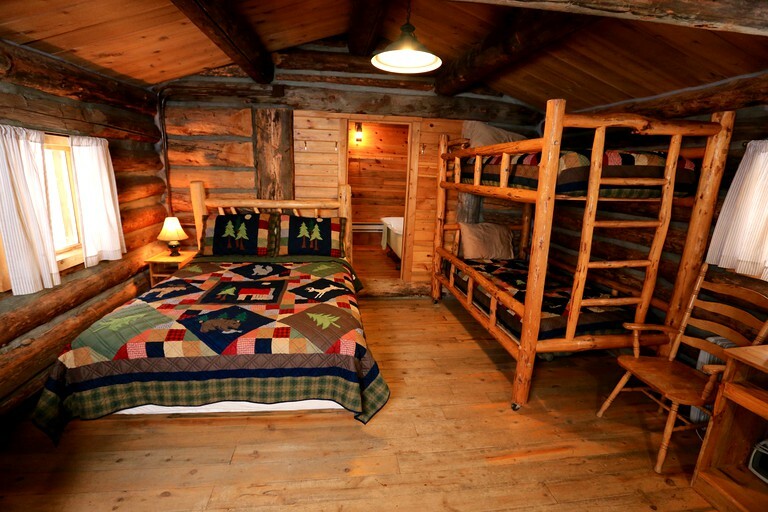 Guests can ski or snowshoe from the cabin doors and snowmobile from the General Store parking lot with a range of different levels and the area that surrounds the glamping site offers miles of groomed multi-use trails easily accessible from Columbine. They can also ski or snowshoe off-trail on national forest land for a more tranquil experience. Steamboat Lake State Park has groomed Nordic trails with no motorized use allowed. Hahns Peak Roadhouse or Del's Triangle 3 are perfect for horseback riding and sleigh rides. Restaurants near this property include the Hahns Peak Café, the Hahns Peak Roadhouse, and The Glen. Steamboat Springs has a lot going on year round and is less than 30 miles away from this glamping site. Especially popular are downhill skiing at the Steamboat Ski Area, special events like winter carnival and the hot air balloon festival, Old Town Hotsprings with hot springs and waterslide and the Strawberry Park Hot Springs, a more natural setting. For all cabins except Caron House, the rates are based on double occupancy and there is a charge of $10 per additional person, per night. Caron House has a fixed rate for up to six glampers. Children under seven stay for free. When booking, the guest must add the children to the guest count, but if that child will cause there to be an extra person fee, the host will take away the fee.